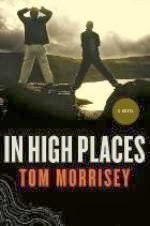 ABOUT A MONTH after I turned my 2008 novel, In High Places, in to the publisher, I received an email from my editor. "Everyone loves the book," he wrote. This was good news because, by "everyone," he meant people like the distributor, and the sales manager, and the marketing manager. And if these people do not like your book, all the editor raves in the world will not save you. Then he went on, "And of course, everyone's favorite character is the father." I read that sentence again. "Of course?" That made it sound as if that had been my intent as the writer. And actually, that was anything but the case. In In High Places, the principal character and narrator is a guy named Patrick. It is a story that takes place primarily during the summer that Patrick turns seventeen, as recalled by his now-grown self. And because I wanted my readers to identify with Patrick, I liked him the most and assumed the readers would like him best as well. Characters in modern literature are often referred to by the names given to them by the Greek playwrights who invented classical drama and tragedy. So the lead character is generally referred to as the protagonist, which in classical Greek means, "first to strive." The character preventing the protagonist from reaching his or her goal is the antagonist, "the one who strives against." And, for the most part, these are the Greek terms your average modern novelist is familiar with. But the Greek tragedian Aeschylus invented a third main character, which he called the deuteragonist ... "the second to strive." The deuteragonist can take several forms. Sometimes he or she acts as a foil to the lead character (Sherlocke Holme's Dr. Watson is the classic example). Sometimes the role is that of a sidekick (the Lone Ranger's Tonto). And sometimes the deuteragonist is simply there to give the protagonist someone against which to play. The father in In High Places is that sort of character; he is the guy Patrick converses with through most of the book. He is also a benign antagonist, in that he it is he who presents the principal obstacle to Patrick's progress, but he is by no means a villain. And after the book came out, readers echoed my editors' sentiments. They loved the father, and interviewers often asked if I based him on my own father (for the record, I did not). As I thought about this, it occurred to me that I'd seen something similar in earlier books. 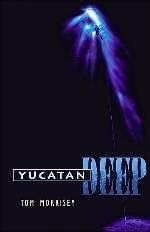 In my very first novel, Yucatan Deep, readers and reviewers often commented on the deuteragonist in that novel: a talented trauma surgeon, deaf since childhood, and the love interest of the principal character. Looking back on these books, I realize now that the readers' love for these characters is not a criticism of how I wrote my lead characters. On the contrary, it is actually a sign of success. As readers identify with protagonists, they also begin to see the world through the protagonists' eyes. And as deuteragonists are usually important to protagonists, they are, by default, important to the readers as well. The moral of this story is to invest a little time and care as you craft your own second-fiddle characters. After all, they are going to have a great deal of influence on whether readers like your book ... whether you planned it that way or not. Your turn: Who has been your favorite “second-fiddle” character in a novel? Tom Morrisey is a mountaineer, aviator, shipwreck diver, and explorer. He has launched, edited or contributed to numerous national publications and is an award-winning adventure-travel writer. A popular speaker, he is also active in both evangelism and the arts. Morrisey earned an MFA in creative writing from Bowling Green State University. He is a two-time Christy Award finalist, the author or co-author of nine novels and two books of nonfiction, and the mentor behind The Novel & The Novelist; An Insider’s Guide to the Craft (Blue Corner, 2014). He and his family live in Belle Isle, Florida. Oh, wow. You made me want to read those books! In my book Heads, my critique partners were asking for more of my antagonist. We want more Vinnie, they would say. Okay, then. I feel encouraged. Thank you, and now for those two books.....!